If you want a car with a wide variety of modern convenience features or need a vehicle with great gas mileage, but are operating on a limited budget, you've come to the right place. 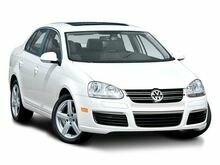 At Fox Valley Volkswagen Schaumburg, you will find pre-owned cars and SUVs in great condition for well under $10,000 dollars. Our used car dealer has a large selection of pre-owned vehicles in a variety of makes, models, and trims. However, we also offer a selection of used cars under 10k for those searching for a great deal on a used model. Our used car specials encompass some of the best used cars and most popular models for sale in Schaumburg, IL, but at a price that can't be beat. Take a look at the sub-10k used cars for sale below, and then get in contact with a product specialist by phone at (877) 544-6524 or through the contact form to register your interest.